Finally the new IC-7300 arrived, and I am still in the process to get familiar with it. 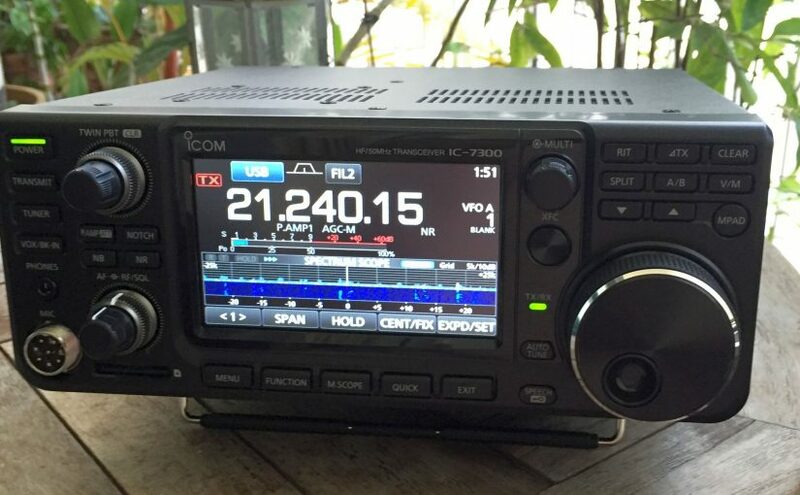 I could not resist, as my IC-718, though reliable, is quite “outdated” in its technology, developed more than a decade ago. Unfortunately, the first IC-7300 unit I picked up from the retailer in Singapore, had a DOA (defect on arrival): the CW keyer always sending dashes. Luckily, there was a second unit available, and it was exchanged without any problems. Now the new unit is in operation for a week and doing its job without any problems. 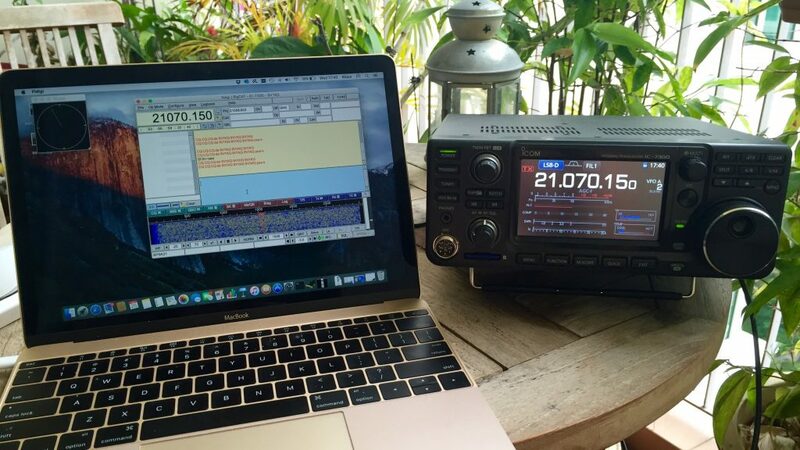 Size and weight are the same as my IC-718, but the features are not comparable, and it is a real advance in technology. The menus are intuitive and signal reception is excellent, as I can adjust all parameters – gain, filter bandwidth and response, audio processing etc. – according to the actual band conditions. Two days ago, I setup the configuration for digital modes, connecting my Apple MacBook via USB, using fldigi and the IC-7300 built-in USB sound interface and serial control. So there is no need for any additional interface box, just one USB connection between computer and radio. It works fine, and I was able to make my first contacts in PSK-31. Thank you so much. Wrestling with FLDIGI for days with other recommendations.. USB only works.. on the 7300.. RX/TX..